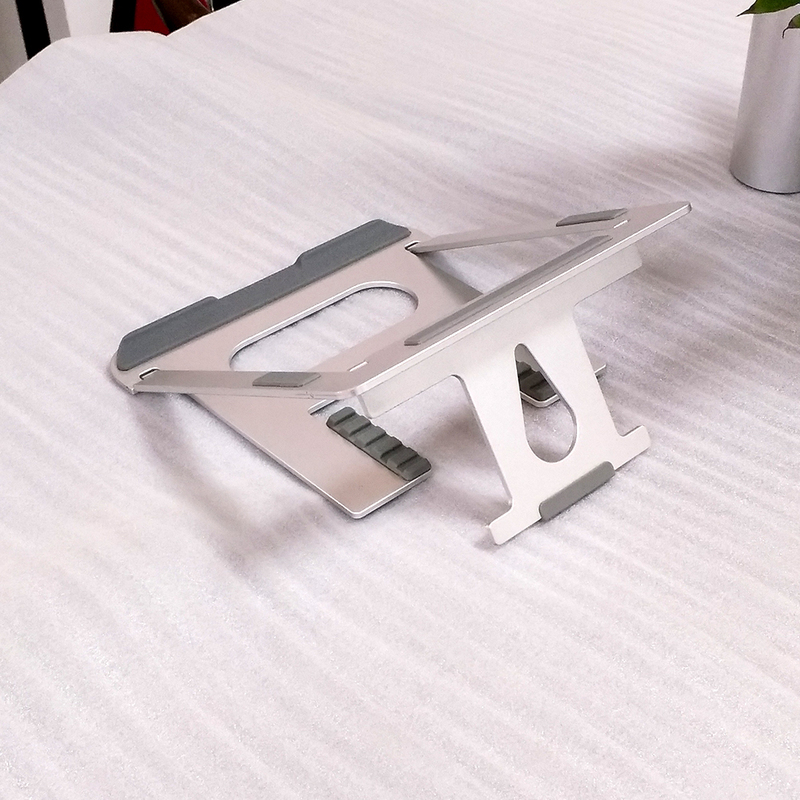 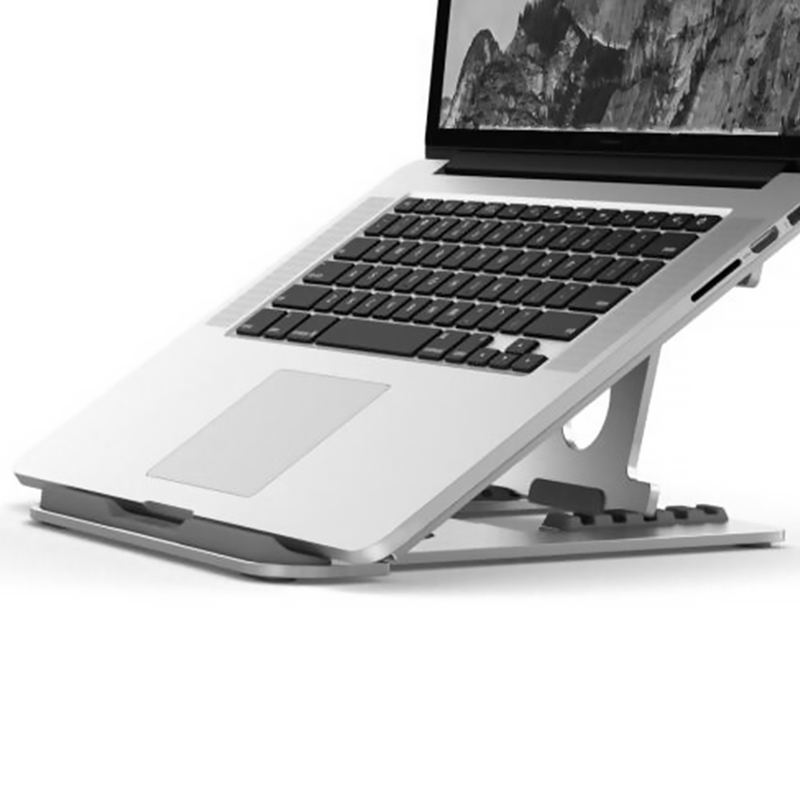 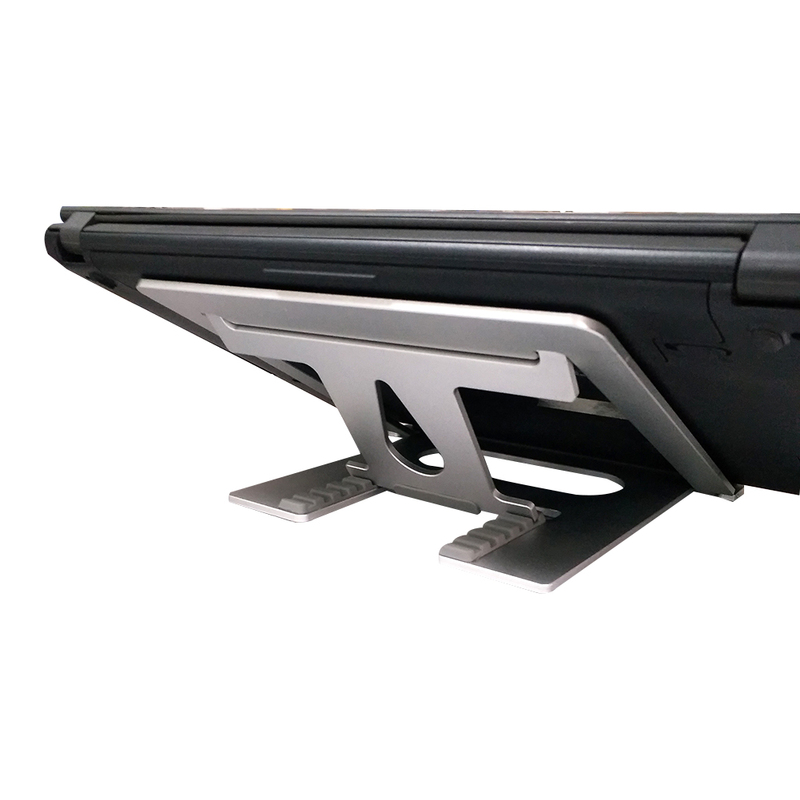 1、This laptop stand is suitable for laptops of all sizes, such as for MacBook Air, MacBook Pro and other laptops. 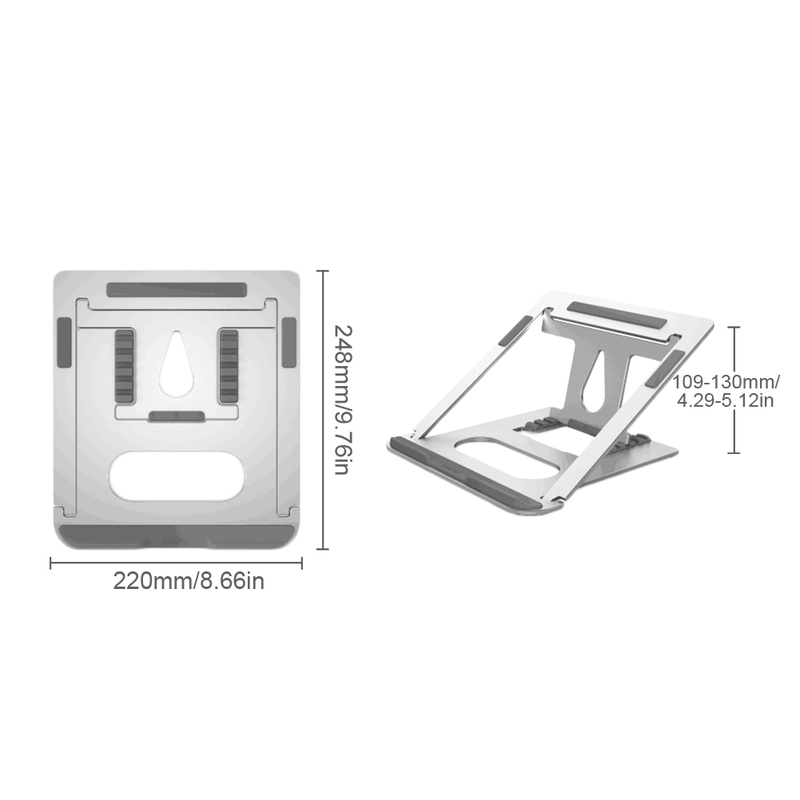 2、The high-quality aluminum alloy panel can be a heat sink which helps to keep laptops running cooler and prevent from overheating. 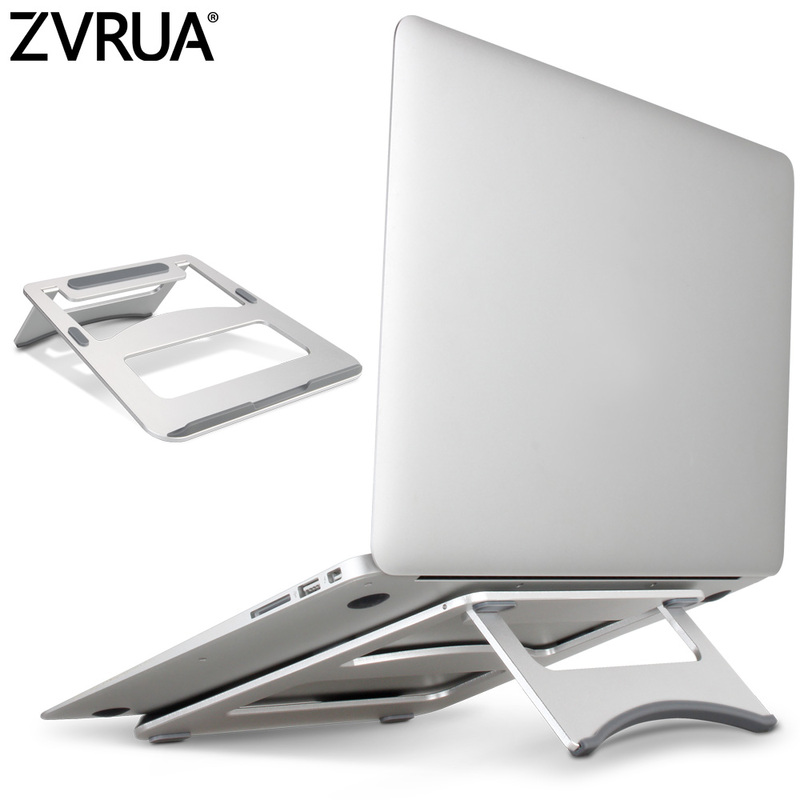 3、Aluminum alloy holder raises the height of the laptop screen to the line of sight for better ergonomics. 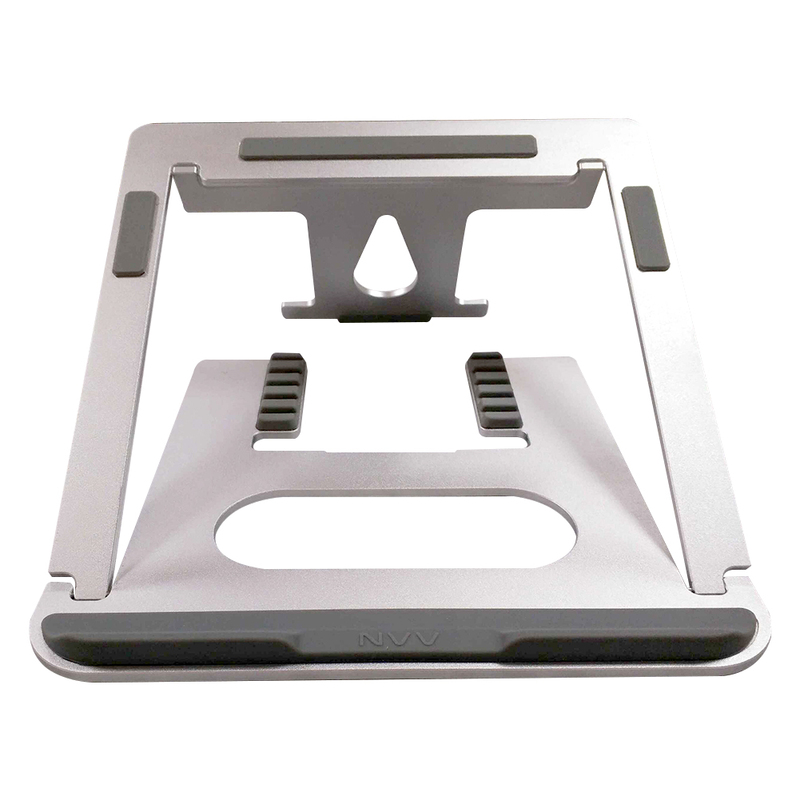 4、The non-slip silicone pads around the stand ensure the stability of the bracket and protect the computer from scratches. 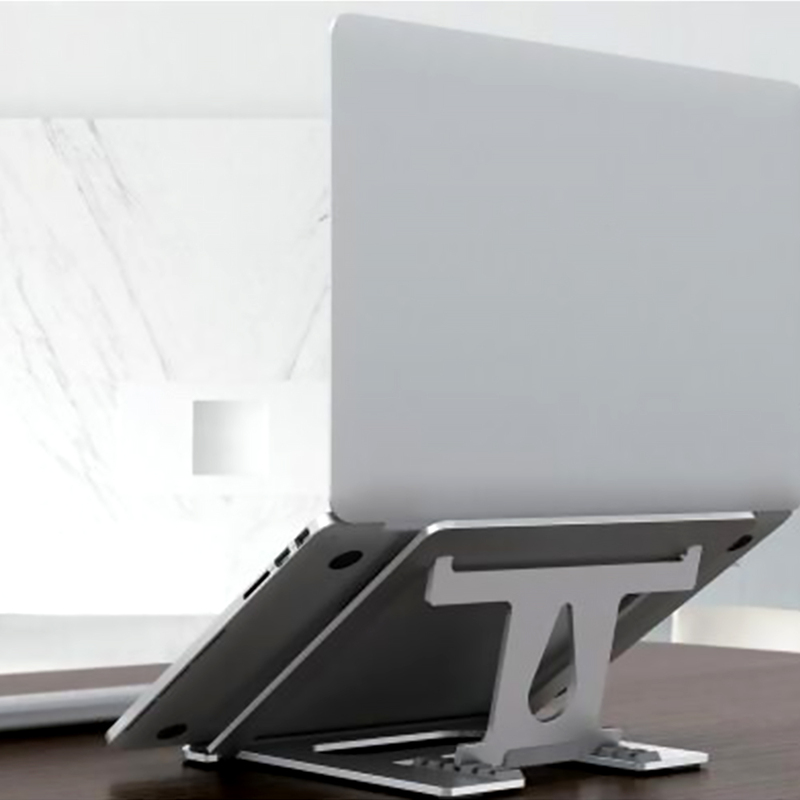 5、This laptop stand is a good choose for businessmen, students and people who uses laptop frequently.